Want to play the guitar, but don’t want to deal with those pesky broken strings and having to keep it in tune? 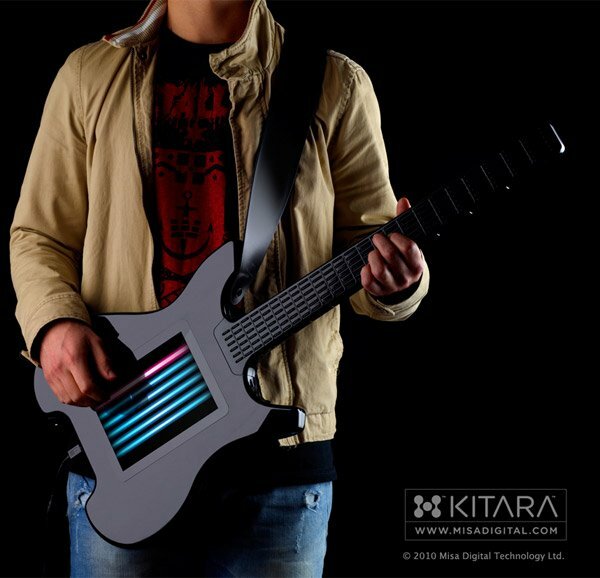 Misa Digital’s Kitara is a unique all-digital guitar that replaces strings with a touchscreen for strumming and buttons for frets. Under the hood, the Kitara is a powerful polyphonic synthesizer, controlled by a multitouch screen that can be used for multiple types of interactions with the instrument. The 8-inch screen and fret buttons act as a controller for the on-board synth. 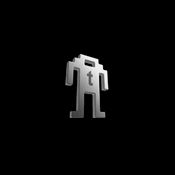 The embedded electric guitar software lets you either “pluck” strings by touching them, or strum multiple strings just like a real guitar. But you can assign just about any sound you’d like to the strings. Individual strings can have unique sounds attached, and there are over 100 built-in sounds to start with. 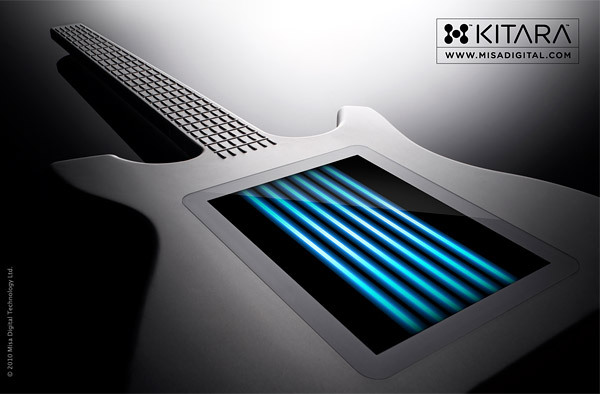 You can also use the Kitara as a MIDI controller for an external synth of your choice. 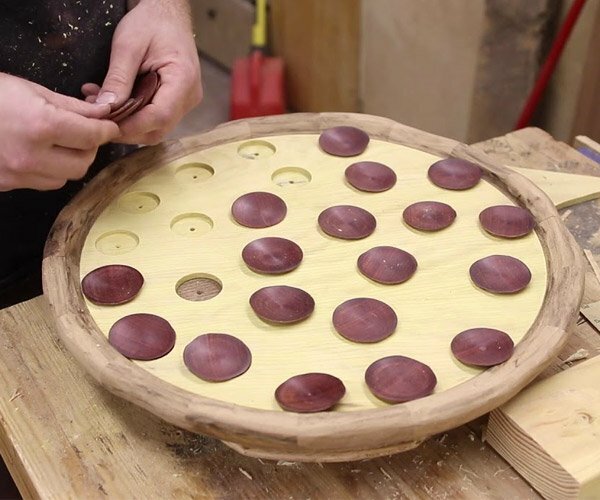 As you can see from the video clip, you don’t have to use strings either. You can use X/Y movements on screen to influence individual sounds and effects, adding to the creative performance possibilities of the instrument. 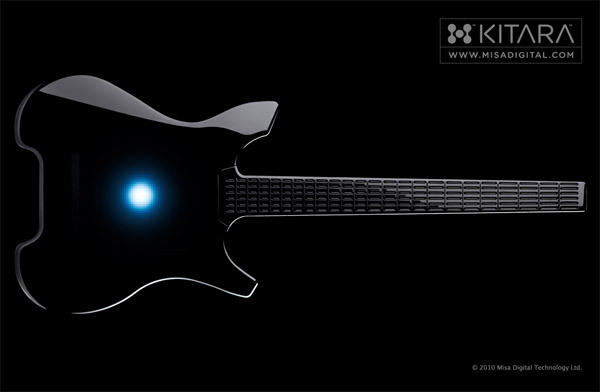 While you can certainly pull off some similar things with some of the iPad apps out there, the fact that the Kitara comes wrapped in a guitar body, and offers tactile frets, it seems like a much more guitar-like playing experience to me. Heck, I’d probably drop my iPad if I tried to strum it. The standard, molded black ABS polymer Kitara will sell for $849 (USD), while the solid-aluminum limited-edition sells for $2499. You can find much more about the Kitara over at the Misa Digital website, and you can pre-order one here.